The decision by Southampton City Council’s Planning and Rights of Way Panel to support detailed plans for the first phase of the redevelopment of the Boldrewood campus as a Maritime Centre of Excellence is warmly welcomed by the University of Southampton and Lloyd’s Register. Outline planning approval, finalised earlier this year, for the redevelopment of the campus as a Maritime Centre of Excellence gave the impetus for the development of detailed plans for this first phase of the scheme. 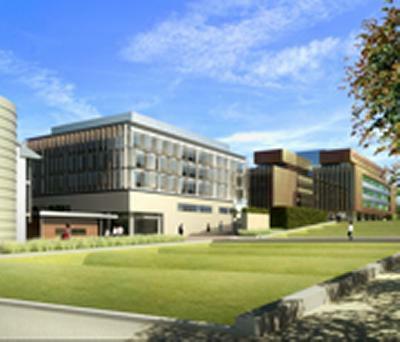 This will deliver two high-quality buildings, an extension to an existing building, and landscaping of the site which respects the proximity of the campus to the Common. One of these buildings will be occupied by the marine professionals of Lloyd’s Register together with the University’s maritime engineers. University Vice-Chancellor, Bill Wakeham, commented: "Our collaboration with Lloyd’s Register is a vital element in the development of the Maritime Centre of Excellence and offers a unique opportunity to both the University and the City. With the potential to deliver significant economic benefit, as well as a prestigious long-term asset, building on and strengthening Southampton’s maritime tradition, I am delighted that the City has recognised the significance of this development and taken the decision to support our Phase 1 plans. "We look forward positively to engaging with Lloyd’s Register to turn these plans into reality." Commenting on the decision, David Moorhouse, Chairman, Lloyd's Register, said: "Achieving planning outcome so efficiently is a credit to all those that have been involved in the application over the past few years. We would like to thank all who have supported us. "Over the next few months we will be entering a period of detailed contractual negotiation with the University of Southampton that is necessary to turn the scheme into a reality and to protect the investment that Lloyd’s Register is making. We will be keeping everyone informed over progress of these negotiations over the coming weeks. "The proposed move to Southampton is a ground breaking and unique opportunity to link business with academia and represents a significant strategic investment for Lloyd’s Register. We will support the local maritime community and work in close cooperation with one of the world’s leading marine academic and research universities. In return we will have direct access to an outstanding technology base and world-class R&D facilities, as well as the opportunity to collaborate with a wide range of leading professionals in our field."